What lies beyond belief is very bleak indeed. 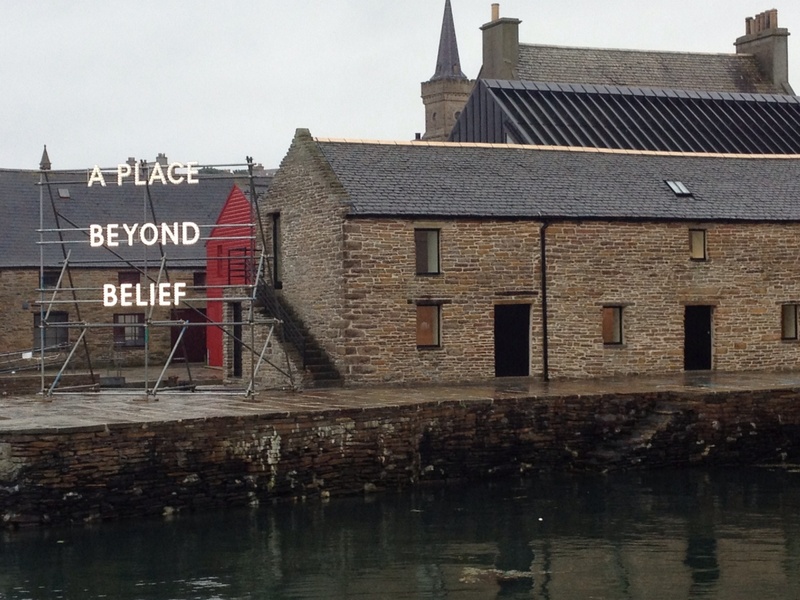 I had thought myself moderately unshockable, but Nathan Coley’s exhibition at the Pier Arts Centre has put that to the test. 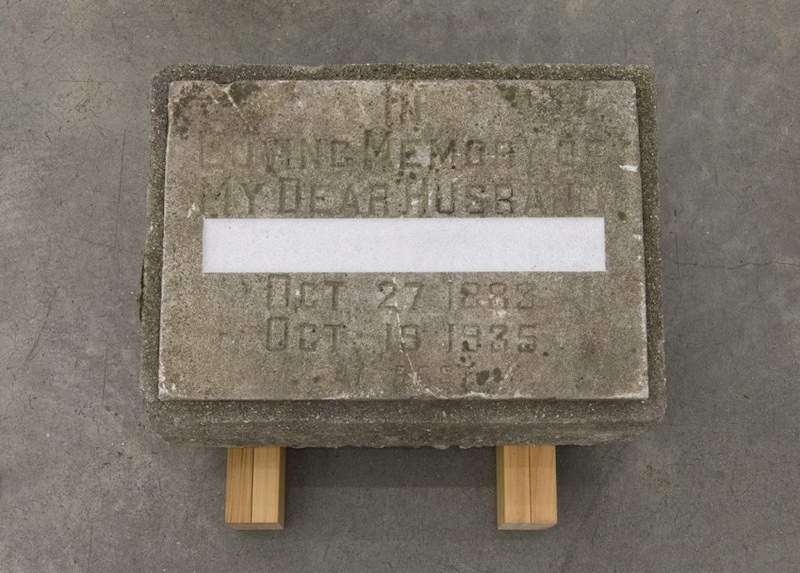 One room, a piece called ‘Unnamed’, consists of gravestones – relatively recent – which have been uprooted, and from which the artist has carefully removed the names of the deceased whom they were to commemorate. Let’s deconstruct that word – commemorate. To remember together; to hold in the common memory. Gravestones are not graffiti, ephemeral personal messages, of relevance only to those in the same network of taggers or activists. At least, I didn’t think so. The explanation on the wall of the gallery suggests that removing the names makes these anonymous memorials neutral spaces for recollection – insert your name here and see how it feels. But what about the people who were buried under these stones? What now lives of them? When we commemorate the dead, we don’t do so in general – we remember countless individuals, all different, each one unique. On All Souls, many of us in churches will read hundreds of names – each one remembered by name as God knows them by name. If going beyond belief means going beyond care for those who have died – and especially care for those who have no-one left to remember them personally – then it seems to me we are not only going beyond belief but beyond humanity too. Very thought provoking,I wonder where he took the gravestones from… I wonder if the relatives know. I do agree, when we stop remembering people we stop valuing others enough. Thank you for bringing this to more general notice.A stark contrast with all the media ‘hype’ about the birth of one small boy in this past week! The building looks great, though. An inspiration for St Mary’s baby church?